I have yet another Linden Sweatshirt to share today, and it's also another that I've made for my Mum! This is her favourite pattern for me to sew for her, you can see the other Linden sweatshirt I've made her here. 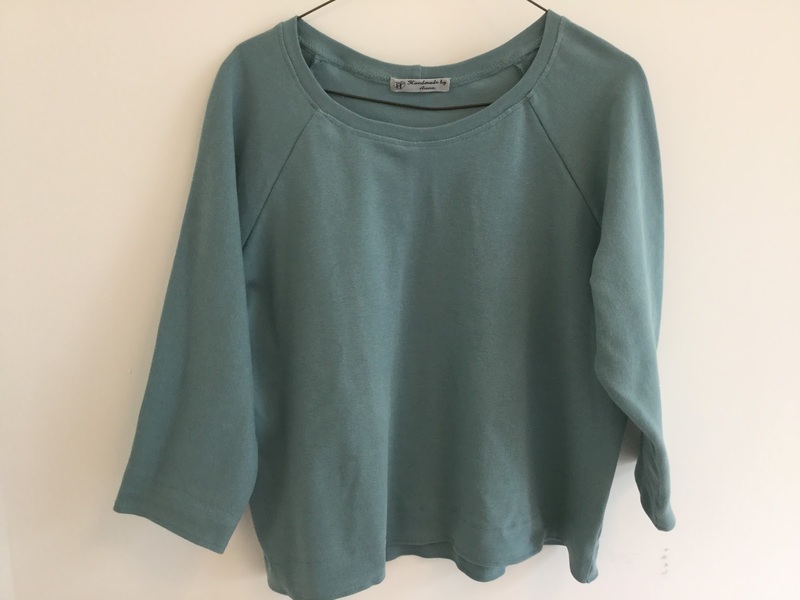 It's pretty much exactly the same as the last version: I sewed view A minus the cuffs and hem band, and with 3/4 length sleeves. I really love sewing things for my mum! She plans each project herself and she bought the fabric for this when we were on holiday. 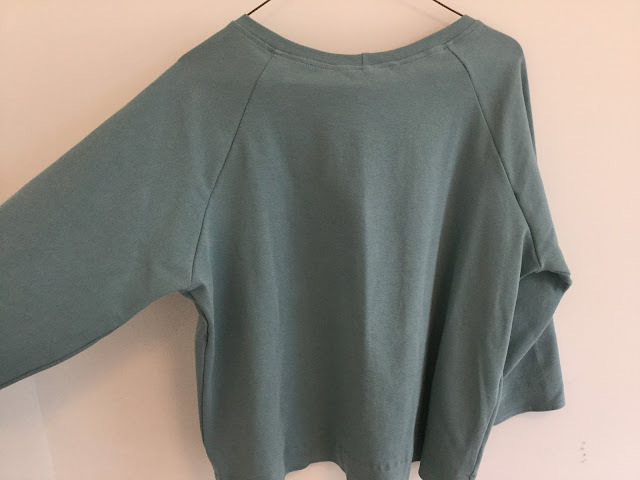 It's a really gorgeous teal jersey fabric from Stoff 2000, it was so lovely to sew with. 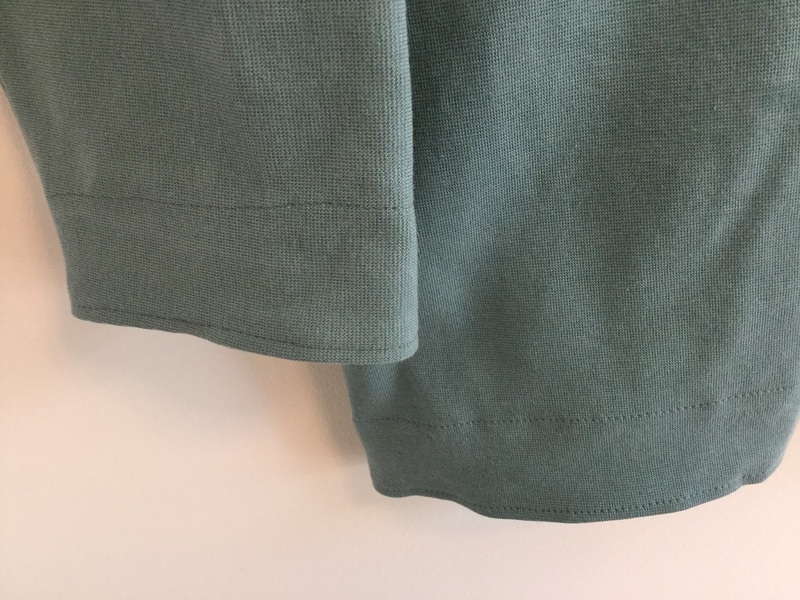 Adding little details is always my favourite thing to do with plain fabrics, and I love how much simply adding a wide double hem changes the finish of the garment. My Mum really likes this jumper, and as I've mentioned before I love seeing her wearing clothes that I've made for her! I've now made her three garments that she wears quite regularly. My only regret is that I didn't buy some of this fabric too... I really want one for myself now! I love this fabric color! I zoomed in to see your label--that is such a nice touch. I have often thought about getting some kind of label to put in my kids' clothes when I make them. Your mum is so lucky to have you making such wonderful clothes for her. This top is fabulous. I love the color and it looks so comfortable.